Several regional and national agencies are our partners in assuring that we deliver quality care to our patients. We are held to high standards by government agencies such as Medicare and Medicaid and by national accrediting bodies such as the Joint Commission, the nation's leading accrediting body in health care. We also submit quality statistics to groups such as Hospital Compare and the Iowa Healthcare Collaborative so that our current and future patients can determine where our care stands among our regional and national peers. In addition, for several years we have been asking our patients to tell us how we're doing. These patient satisfaction surveys tell us what parts of our operation are working well and what parts require adjustments. You and your family members are key advocates for your safe and effective care. Be certain that questions about your care are thoroughly answered by your care team members. Why is measuring quality care important? Access to quality care measurement can help you better understand the various measures of health care quality and help you to make more informed choices. Conversely, hospitals that collect, share, and compare quality data can potentially use the information they generate to improve their systems of care. What are some of the key elements of quality care? Federal and state agencies, employer coalitions, and health plans are among the organizations that monitor the quality of care provided by hospitals and other provider organizations. Many of their findings take the form of "report cards" that measure and report on the various results that demonstrate the level of health care quality. These reports cards are created to encourage patients to demand safe and effective care and hospitals to provide safe and effective care. Are all quality ratings reliable? Not necessarily. Many report cards are reliable and relevant. Others vary greatly in the types of information made available, how the information is presented, and how it is compared ("apples to apples" or "apples to oranges)." University of Iowa Hospitals & Clinics believes that objective data (such as outcomes reporting) is more relevant and reliable than subjective data (such as reporting based on a hospital or individual physician’s reputation). How do you know that you receive quality care? Since quality care can mean different things to different people, there may not be a single answer. For most people, quality care is simply getting the best care possible. This means having a good relationship with your physician, receiving your care in a timely, efficient fashion, getting your questions answered clearly and quickly, and generally feeling satisfied with the care you receive. What is an example of a reliable quality report card? The U.S. Centers for Medicare and Medicaid Services (CMS) provides relevant, valid, quality information. CMS has identified over two dozen quality measures that hospitals should use in submitting quality performance data. All these measures were chosen because they relate to three serious medical conditions— heart attack, heart failure, and pneumonia—that are common among people with Medicare and to the surgical care provided to this category of patients. What does risk adjustment mean? "Risk adjustment" takes into account the fact that although patients have the same diagnosis, some might have additional conditions or characteristics that could affect how well they respond to treatment. A 40-year-old woman admitted to the hospital with heart disease would be expected to have a greater chance of survival than a 40-year-old woman with the same heart disease and a serious disease, such as pneumonia. In this example, pneumonia is assumed to be a risk-increasing condition. For purposes of scoring or ranking, risk-adjustment allows for the fact that hospitals like UI Hospitals & Clinics—where more patients with more complicated illnesses are seen—will likely show higher rates for mortality or complications. When data are risk-adjusted, this factor is taken into account to allow a more fair comparison. Do quality data guarantee a successful outcome? No system of measurement can guarantee a successful outcome in each individual case. For instance, there will always be elements of a given patient’s condition that may not yet be known to the caregiver, and therefore might affect the outcome. In that sense, measuring quality health care is more complicated than, say, measuring the quality of a manufactured product like an automobile. However, quality data can serve to reassure the consumer that a given hospital has high standards, and that the likelihood of a positive outcome there is high. Does measuring quality care actually improve it? Despite the many ongoing efforts to evaluate and enhance quality, there is still no definitive proof that measuring quality care actually helps improve it. In fact, recent studies would seem to suggest that, while measuring quality is a good idea, the search for the most meaningful quality measures needs to continue. If you have questions related to quality care, the best source may be your physician, since your health care team can usually make the best recommendation about your unique, individual circumstance. Is it smart to ask my friends for quality care advice? People often ask their friends and neighbors how they felt about their clinic visit or hospital stay. While there is nothing wrong with this, it may place too much reliance on one experience and individual perception. A more accurate measure may be found in the results of patient satisfaction surveys, which reflect the opinions of many people and not just a few. Why are patient satisfaction surveys important to quality care? The level of satisfaction expressed by patients following a clinic visit or hospital stay is one of the most useful measures of health care quality. The combined experiences of many people over time can more accurately reflect what a future patient can expect. UI Hospitals & Clinics regularly conducts patient surveys to help assess strengths, identify opportunities for improvement, and compare our satisfaction scores with other institutions’ scores. Our surveys are managed by Press Ganey, a leading survey firm. Press Ganey’s measurement tools and consulting expertise have helped us develop the newest innovations in health care quality and patient satisfaction. How reliable is comparative shopping for health care? Some hospitals and physician groups are beginning to provide "price quotes" for basic procedures such as chest X-rays, baby vaccinations, and Pap smears. This trend can potentially benefit health care consumers by allowing them to do "comparative shopping." However, consumers should always read the "fine print" and be wary about health care price quotes, which are really ballpark estimates that may vary—sometimes greatly—from the final bill. For example, some quotes may be for hospital charges only, thereby excluding other costs such as physician services (which can vary greatly, even within a given hospital or health system). As well, unanticipated charges may be incurred because of things like additional tests or procedures. This would make it impossible to make true "apples to apples" comparisons without more information. What is the difference between health care quality and value? 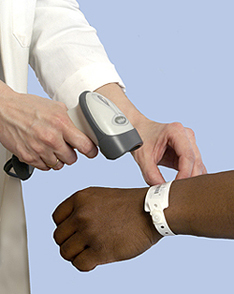 Quality measures typically include outcomes or other performance data. Value takes comparison shopping a step further by also factoring in cost. So far, the idea that consumers might shop for health care based on value has limited application. Most of the "value" information currently available is limited, at best, and based on many complex variables. Value may eventually play an important role if price quotes and quality data become intertwined in a more consistent, more reliable way, giving consumers access to truly accurate comparative information.